SMS marketing is one of the few digital marketing strategies to have survived since the 1990’s. There is a good reason for that: it works! 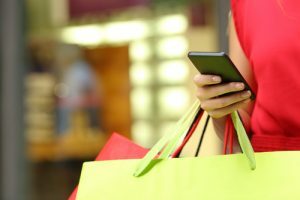 Although marketers have dismissed it in the past, businesses are now starting to realise the power of communicating with customers via text. Furthermore, SMS marketing is versatile. Marketers are not restricted to using SMS purely for promotional purposes. Brands can also use text messaging services to raise awareness, improve customer loyalty programs and conduct customers services. However, there is no question that SMS provides marketers with the potential to increase profits. By integrating SMS into your broader marketing efforts you will see noticeable success rates. As you would expect from any marketing tool, there is a number of techniques to try. Customers want value for money and the more they feel like they are getting a bargain the more inclined they are to take advantage of an opportunity. Marketers may feel that making deep cuts into the purchasing price may effect the bottom line, but because SMS reaches more of your audience, there is potential to make profits by selling more merchandise. This is a particularly good strategy for marketers that are new to SMS marketers. One of the toughest challenges for brands is to get enough customers to opt-in for SMS marketing. Offers that customers can’t refuse are always a winner, and once you have subscribers on your text list, you can broaden your tactics. Text messages only allows 160 characters of space, so you don’t have the luxury of stating benefits and writing persuasive long copy. You only have enough room to state your offer and a call-to-action. For many brands this can work in your favour. If you have a product that sells itself, customers only want to know about the deal. When people opt-in to receive text messages from brands, they are essentially part of your “club”. They have been good enough to give you their personal contact details and in return should be treated with respect. SMS marketing has an advantage over many other channels in that you can reach your customers anywhere. They don’t have to be in their email account, or even connected to the internet. Furthermore, with GPS tracking, you can identify when they are close by. With this information to hand, creating a sense of urgency around a promotion is a positive way to increase success rates on marketing campaigns. Modern consumers suffer from #FOMO – fear of missing out. When you put a time limit on offers, consumers make a purchasing decision quicker. Not every business sells products the masses are already aware of – which makes promoting offers via text messaging services more difficult. However, that does not mean SMS is a pointless strategy. SMS technology has come on leaps and bounds in the last few years. It’s now possible to add multimedia applications into texts or links that drive traffic to dedicated landing pages. Make use of these capabilities to provide your customers with more information and add variety to the text message marketing mix. Modern consumers don’t want to be sent advertising, they want information. People are therefore open to communicating with brands – and 9 out of 10 consumers say they want to connect with brands via text messaging. This means that more mobile customers are willing to opt-in to receive SMS messages – but on the condition they expect to receive information and not marketing. First of all, the type of messages you send to recipients need to be relevant, and secondly they need to be useful. Market segmentation is becoming increasingly necessary for brands. Knowing what your audience prefers helps with developing a marketing strategy and creating appropriate content. But it is arguably more important to use consumer data to target existing customers. When you send a “special” offer to individuals that is relevant to them, people are more inclined to make a purchase. On the other hand, when brands send too many marketing messages and misplaced product offers, customers are more likely to unsubscribe. How you word text messages is also important. You don’t always have to create offers to get people to buy. Give them a reason to buy and provide relevant information. Adopting this strategy to text messages does not feel like marketing, they are useful. Call-to-actions are bread and butter to marketers, but you would be surprised how easy it is to forget to include a CTA on a text. One of the reasons for this is because standard text message marketing is so straightforward. You basically state your offer and include a short code which efficiently acts as a call to action. However, when you then expand your mobile marketing strategies and don’t use a short code, you need to tell customers what to do next. This may be how to redeem an offer, instructing them to follow a link or show the text message/coupon at the checkout. Regardless of the type of business you own, text message marketing provides you with an effective channel to reach more customers. Try integrating SMS into your overall marketing strategy and discover how texting can leverage your profits.